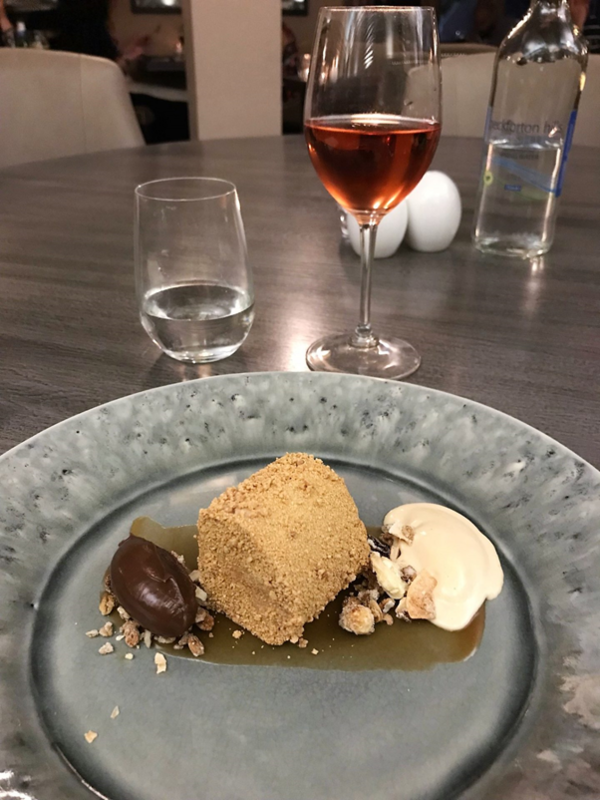 As you all know if you read this blog often (or follow me on Instagram), I’m a huge dining and drinking fan. I appreciate a good chef and I love a fine wine or a perfectly blended cocktail. 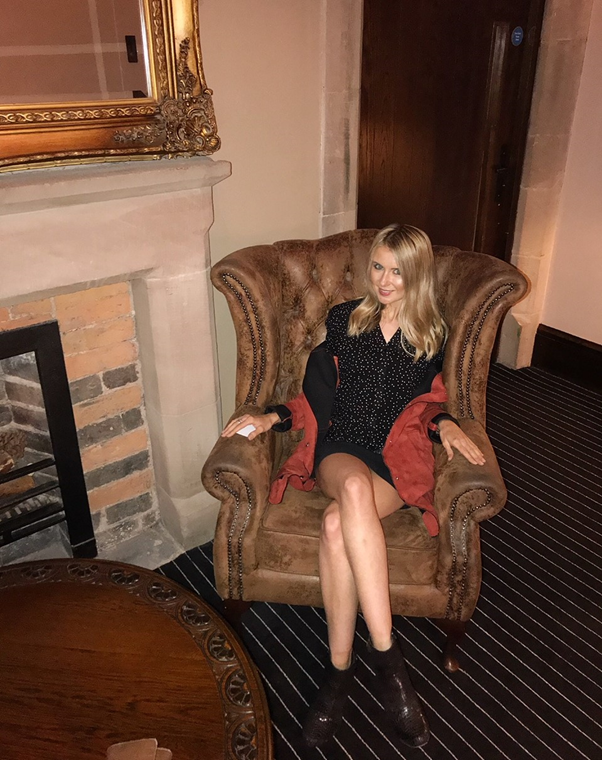 You’ll tend to find me reviewing restaurants, bars, cocktail places, afternoon tea, hotels and adventure days in and around Manchester and Cheshire week in, week out. 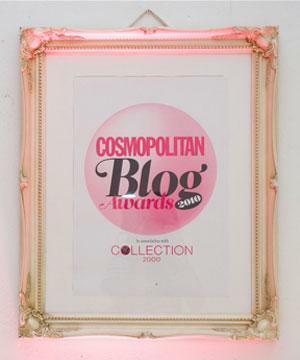 And luckily, being a Manchester blogger, my job lets me do this often! I’m much more of an ‘experience’ girl rather than a material girl. 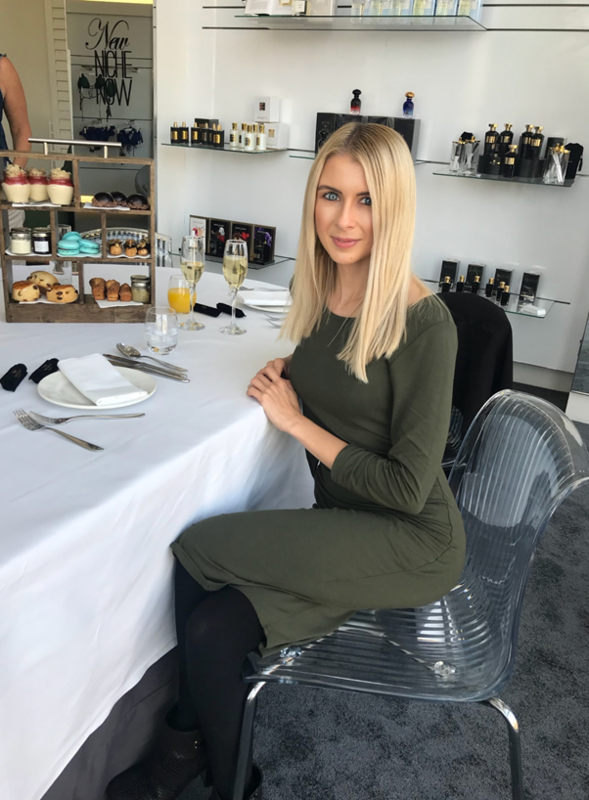 Give me a 7-course taste menu and a glass of Prosecco as a gift, and I’m much happier with that than receiving a makeup set. 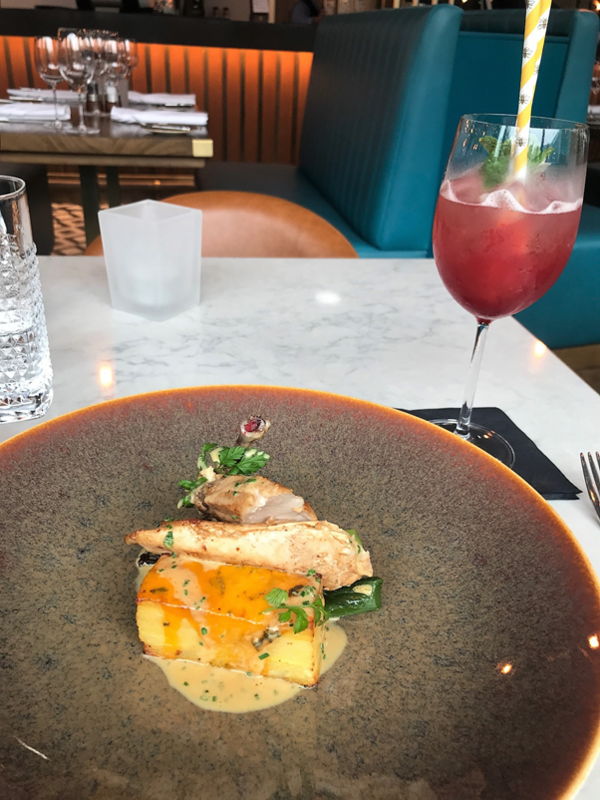 So I’ve uncovered something Manchester related that you’re all going to love – especially if you appreciate food, drink, and a good old deal! Popular deals site Wowcher has just launched something extra special for Manchester, and a first for the company: a special Wowcher VIP tab. 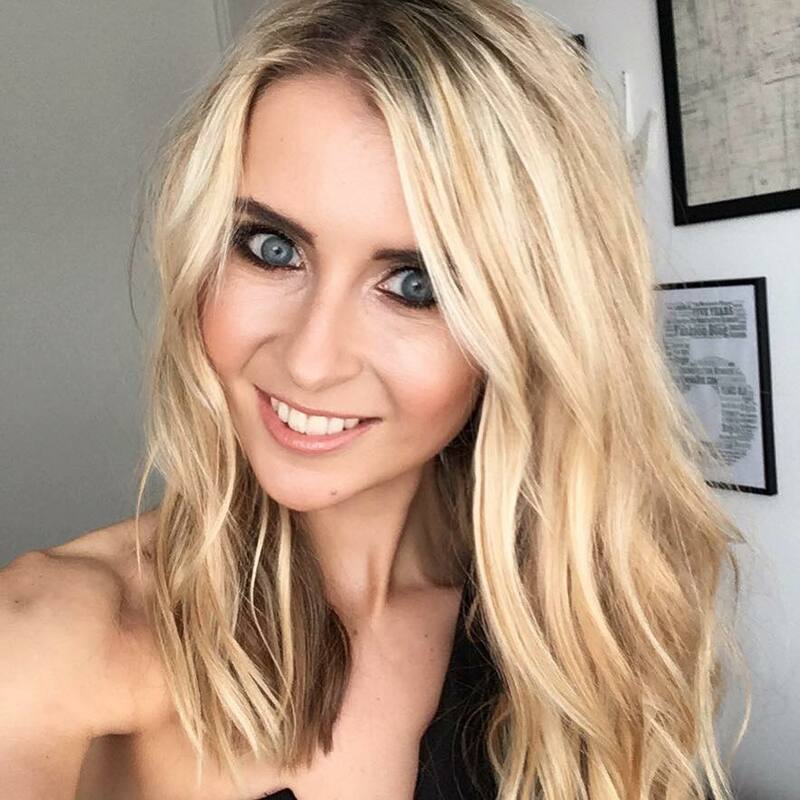 This new page on their Wowcher website has launched to provide the people in Manchester all the top exclusive deals for more extra-special, sought-after experiences in Manchester. 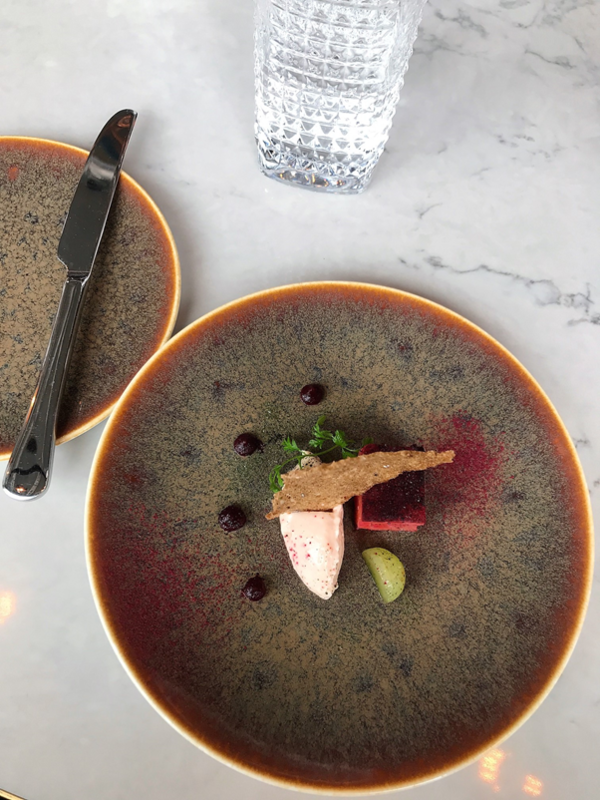 Some of the deals here span out a little further afield too, bringing you Cheshire’s finest offers, for those who are happy to venture a little further. And let’s face it, Cheshire is home to some of the country’s most prestigious hotels, restaurants and venues. 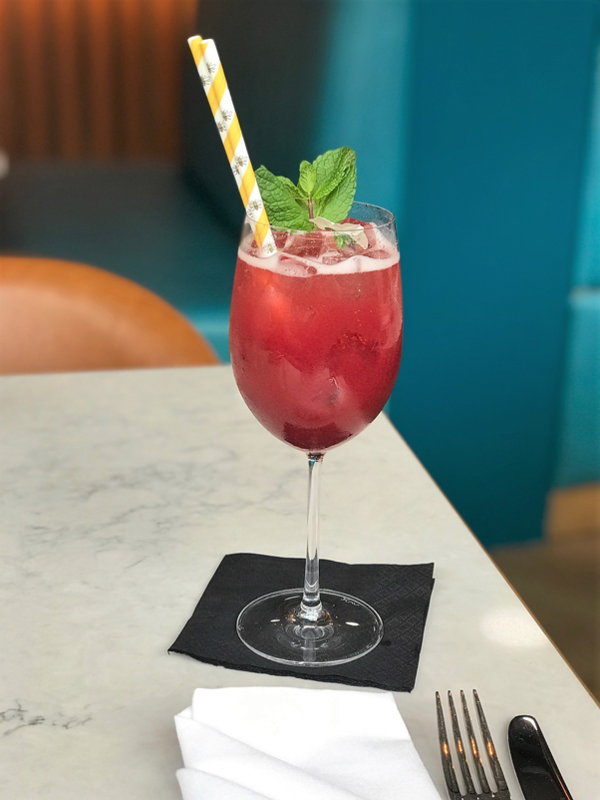 Wowcher has partnered with the trendy 1920s themed HotelGotham on King Street for the launch, where one of Wowcher’s deals is a luxury prosecco afternoon tea here. But as well as Hotel Gotham (which is one of the most stunning hotels in Manchester, in my opinion!) 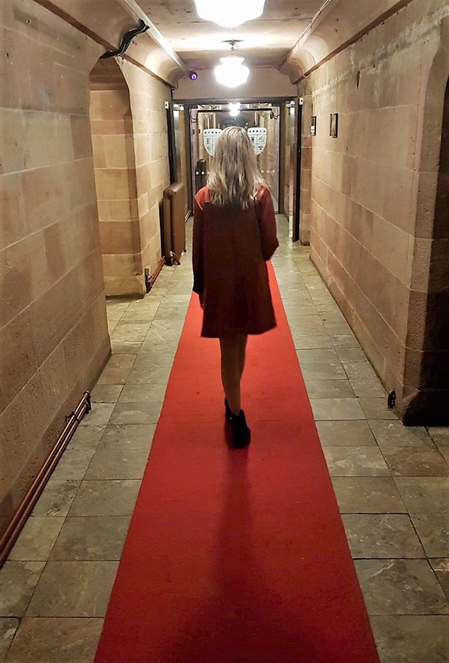 you’ll also find deals for some of the area’s luxury and premium venues including Peckforton Castle, HotelDu Vin and The Mere. 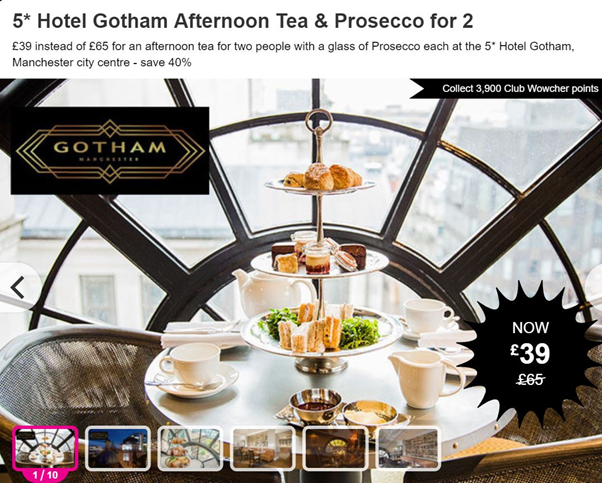 In case you are wondering about the Hotel Gotham Afternoon Tea by the way, it is £39 instead of £65 for an afternoon tea for two people, with a glass of Prosecco each at the 5* Hotel Gotham in Manchester city centre. So you’ll save yourself a massive 40%! 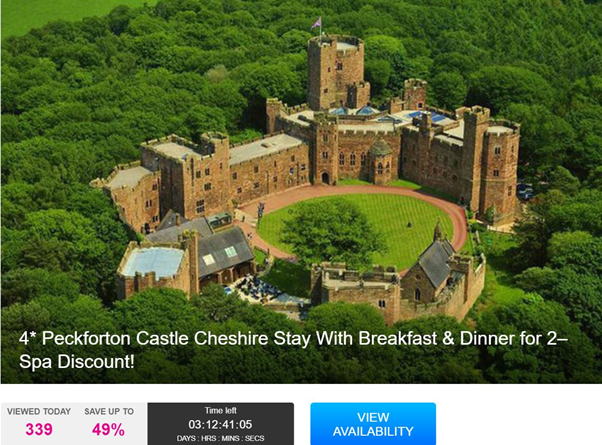 I’ve stayed at Peckforton Castle before and it’s literally like going into a medieval world. It’s a stunning venue also used for lots of weddings, so you guarantee the food, interior, spa and grounds are pretty much out of this world. You can see a sneak peek below from my last visit, which sadly I didn’t get as part of an online deal. If only this had launched back then! It’s literally a new tab to the site that I’d highly recommend you all checking out (and bookmark it if you’re anything like me! 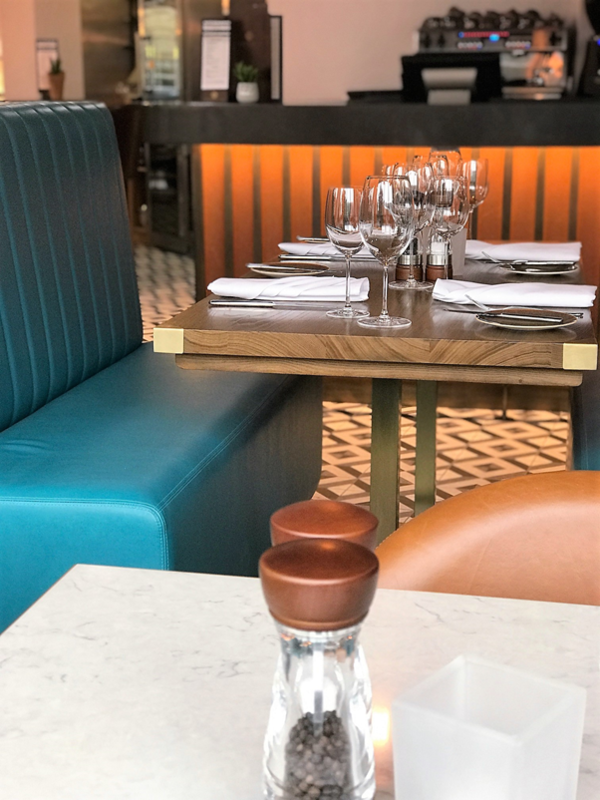 ).All you have to do it head to Wowcher, and click on the exclusive VIP tab, in which the page will bring up a list of the particularly special, exclusive deals for luxury experiences around Manchester. In a nutshell, you’ll find boutique hotel stays, luxury afternoon tea experiences and spa packages. But there are also other unique offerings, like 7 course tasting menus (note how I said that’s one of my dream gifts above!) and theatre or theme park deals too. 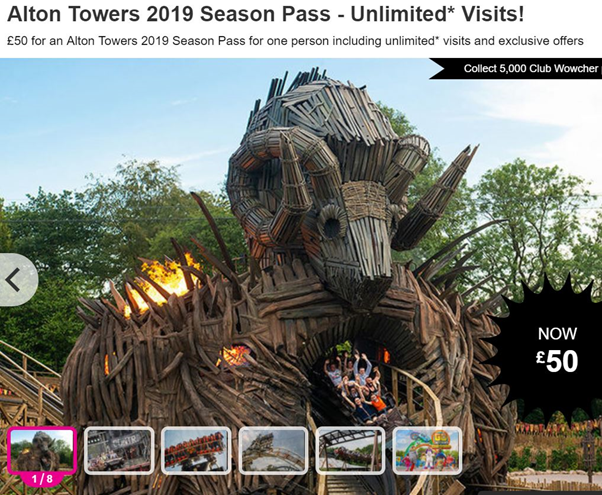 For example, I spied an Alton Towers 2019 Season Pass with unlimited* visits for the reduced price of£50, and a 1-year Lowry Theatre Membership Priority Booking with discounts at half the standard of price, down from £30 to £15. For me, some of the favourites that I’ve been sharing around to my friends include these fantastic finds below. I literally love how to site can offer such luxury experiences at the lowest deal prices I’ve seen! 4* Marriott Hotel Vegan Afternoon Tea for 2 – Bottomless Option – save 69%! This deal is £14 instead of £45 for a vegan afternoon tea for two people, and costs £19 with a glass of Prosecco each. Or, £29 with 90 minutes of ‘bottomless’ Prosecco. This takes place at the 4*Marriott Victoria & Albert Hotel, Manchester. 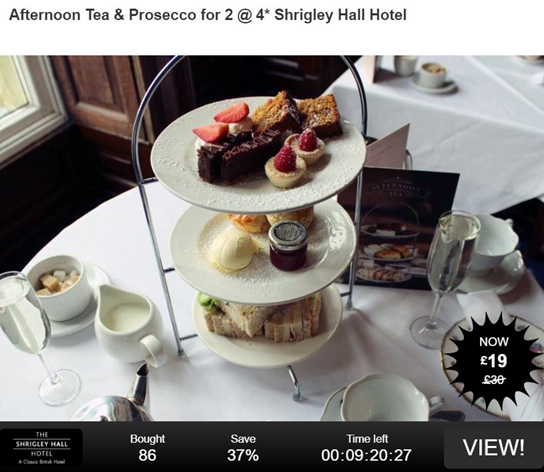 This Afternoon Tea offer is £19 instead of £30, offering afternoon tea for two people with a glass of Prosecco each at the 4* Shrigley Hall Hotel, Cheshire. You’ll notice that each other has a time limit, and the time actively ticks down to show you how many hours or days you have left to book the exclusive offer. One I’ve had my eye on actually runs out in 13 hours as I write this (eeek! ), which is a Festive Afternoon Tea for 2 & Gateaux at Patisserie Valerie,Manchester. Another one I’m watching at the moment is actually running until January, and it’s at one of my favourite locations in Manchester: The Hilton, Deansgate. 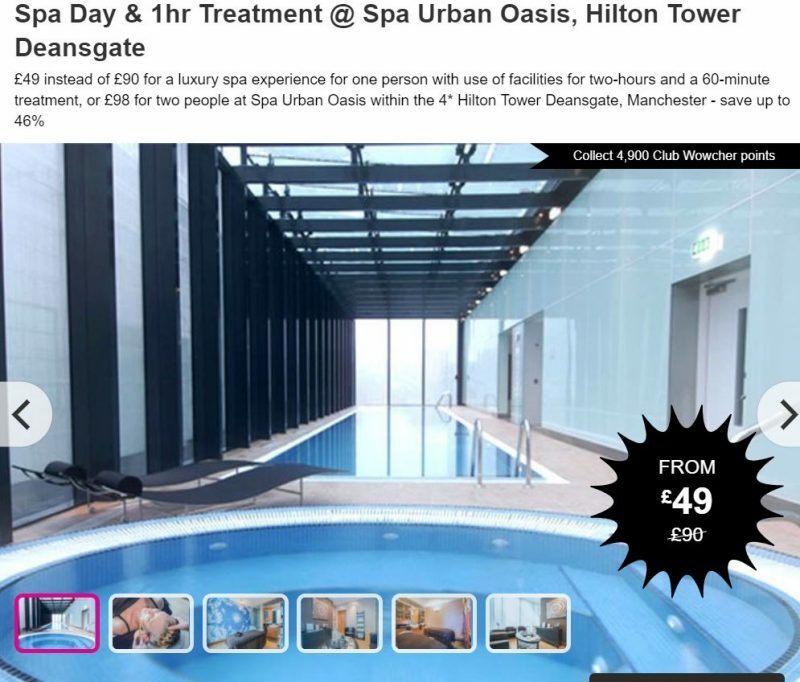 The Spa Day & 1 hour Treatment at Spa Urban Oasis, Hilton Tower Deansgate is on offer at £49 instead of £90 for a luxury spa experience for one person, with use of facilities for two-hours and a 60-minute treatment. Or you can get it for £98 for two people, saving up to 46%. It’s one of my favourite buildings in Manchester, with it being home to Cloud 23 and just soooo tall! 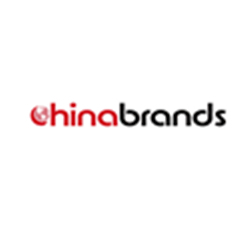 Why not take a little look yourself here and let me know what deals stand out to you! I can literally promise you there will be something over there that will be appealing. One thing to add before I go: I’ve actually been using this new VIP tab to book some Christmas presents for those hard-to-buy for people. You know those people who don’t seem to need or want anything, and you struggle for a physical gift? 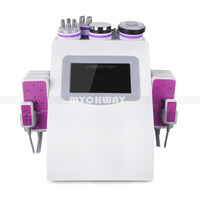 Well why not consider a little experience gift for them, at a fraction of the price? Let me know in the comments if you decide to purchase any!